The results are in. 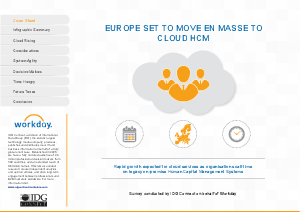 The majority of European IT departments are shifting to the cloud. And, of those still using on-premise solutions, 56% plan to move to the cloud in the next 12 months. In other words, if you're an IT professional using an outdated HCM system, the question isn't whether to switch to a cloud based solution, it's when.